Wednesday to be borderline for me. A bit too thick for my liking and yet not quite so thick that I couldn't manage. Ziv was flawless flawless flawless. Literally the perfect gold shimmer polish. The Nailz Craze plate I used is the newest "Russian" plate it has little dolls and sweaters etc and is very cute. I will say though the bottom portion of the sweater patten did not pick up as well as I would have liked even using a Konad Special polish so that was a little disappointing, but otherwise I love everything about this image and the plate as well. 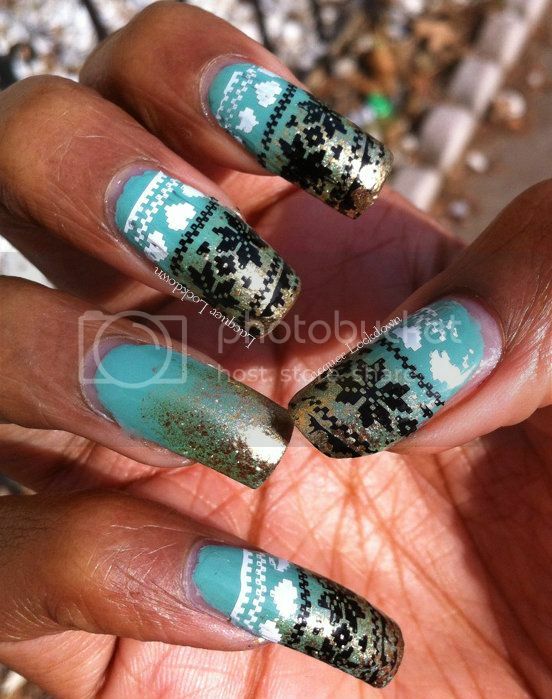 One thing I will say about Nailz Craze is she always always has images that are the perfect oversize size. 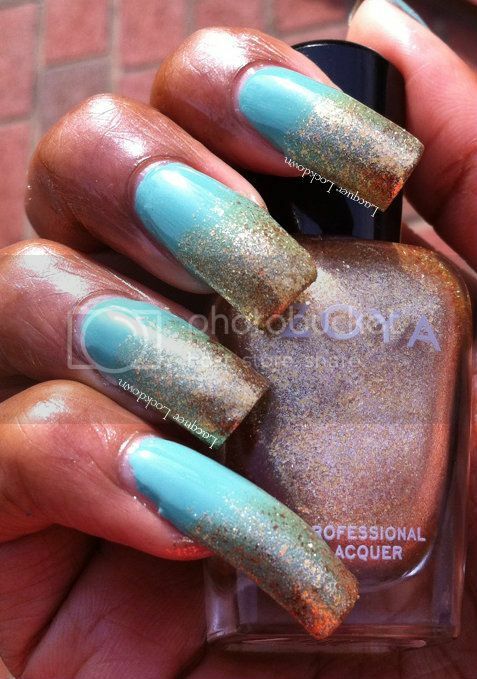 Long nails or short she will have you covered!